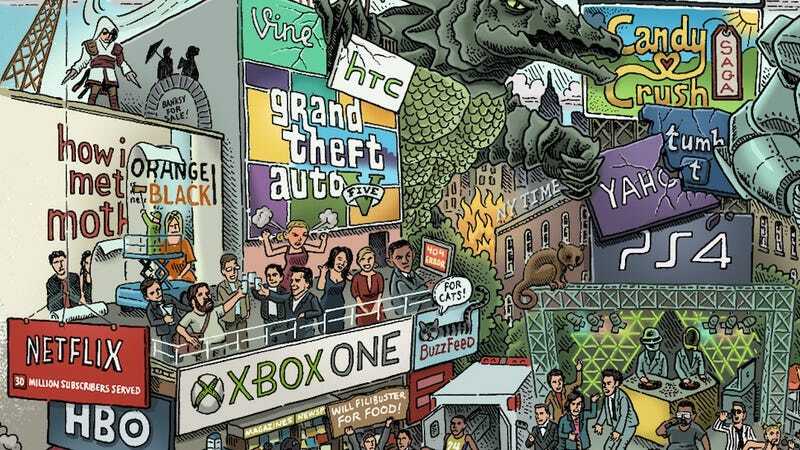 Can you spot all the video game references? Can you spot all the video game references? This nifty comic from artist Mario Zucca for Beutler Ink looks back at the year in pop culture. There's plenty of hidden and not-so-hidden game references in there; see if you can spot 'em all.